August 11, 2006 – The Fair Gaming Advocate in the London offices of eCommerce and Online Gaming Regulation and Assurance (www.eCOGRA.org) reported this week on complaints received by the non-profit player protection body during the first six months of 2006. 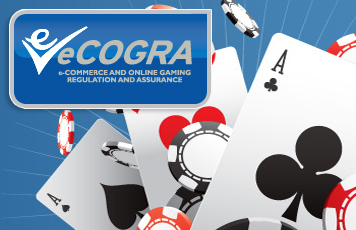 Tex Rees says a total of 265 submissions were made to eCOGRA`s online facility, of which 83 (31 percent) concerned online casinos and poker rooms that are not accredited to eCOGRA and are therefore outside the FGA`s authority. A further 35 submissions (14 percent) were non-specific rants and statements that could not be followed up. The FGA received an average of 10 disputes per week, a slight increase over the same period last year. The average number of disputes per `Play It Safe` seal site per month was 0.3 percent, down from 0.7 percent last year. `Given the major increase in the number of `Play It Safe` sites since last year – there are now 88 sites accredited by eCOGRA – the level of disputes coming in to my office remains remarkably low,` Rees says in her report.